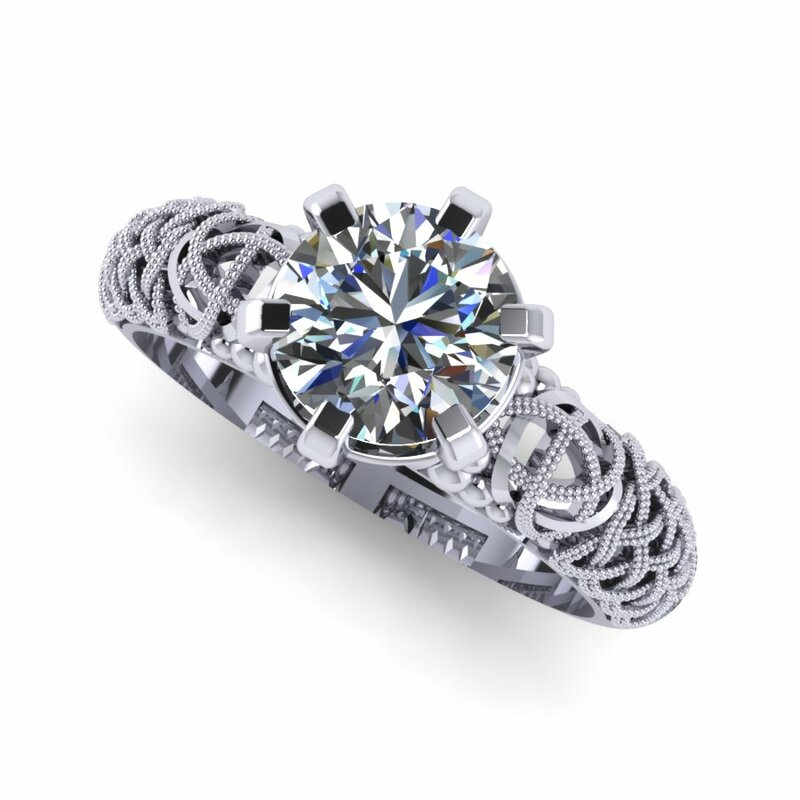 Maria’s ring is truly one of a kind. 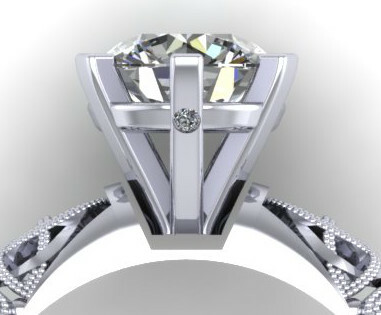 While Gavin spent many hours designing it, Maria thought he was playing video games. 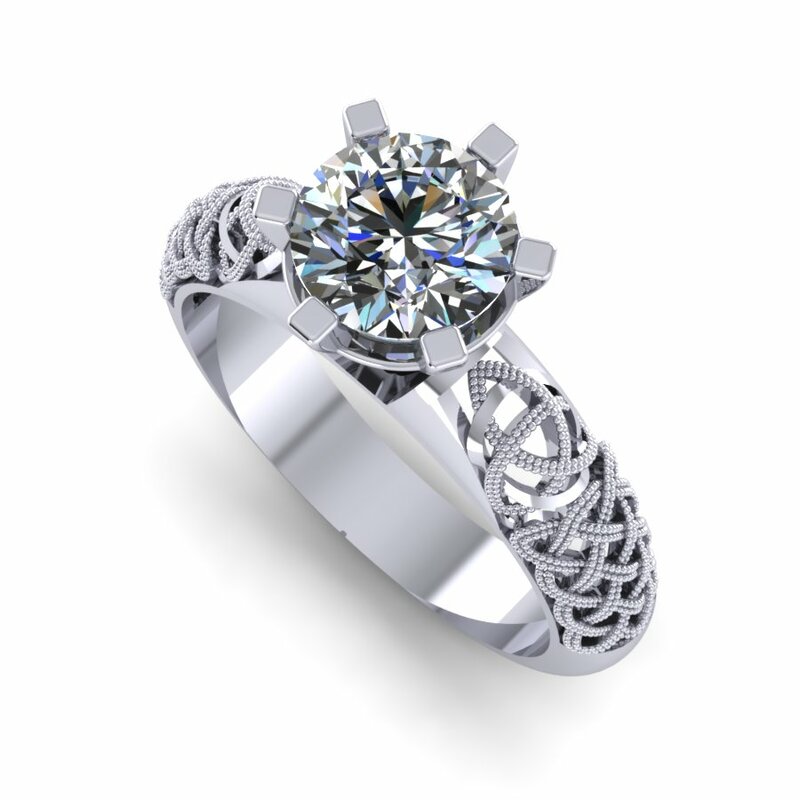 After constructing the intricate CAD designs he wanted, Gavin worked with a custom designer to create the custom engagement ring he gave to Maria on May 24th, 2014 is a private room atop the Sears (Willis) Tower. 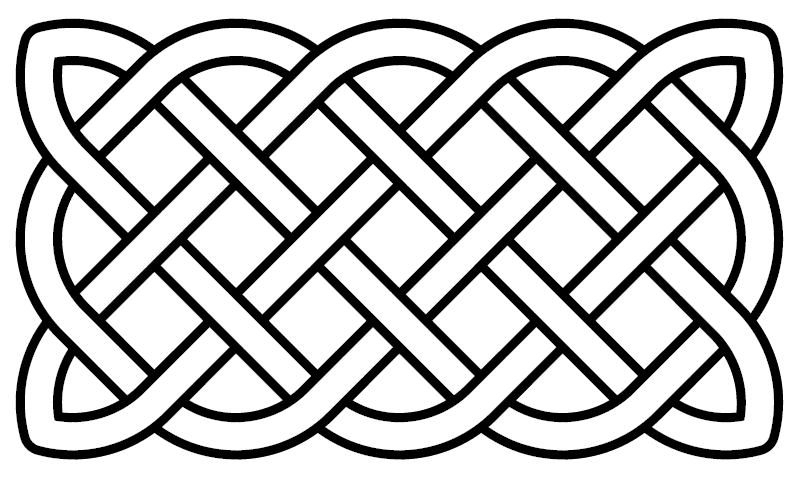 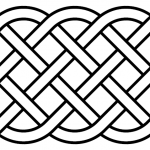 The band is decorated with Celtic knots which have no beginning or end, symbolizing eternity. Near the stone is a Celtic Trinity (triquetra). 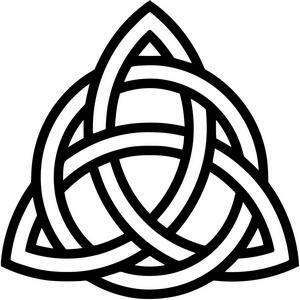 Traditionally, the triquetra symbolizes the Holy Trinity, the Father, Son, and Holy Spirit. 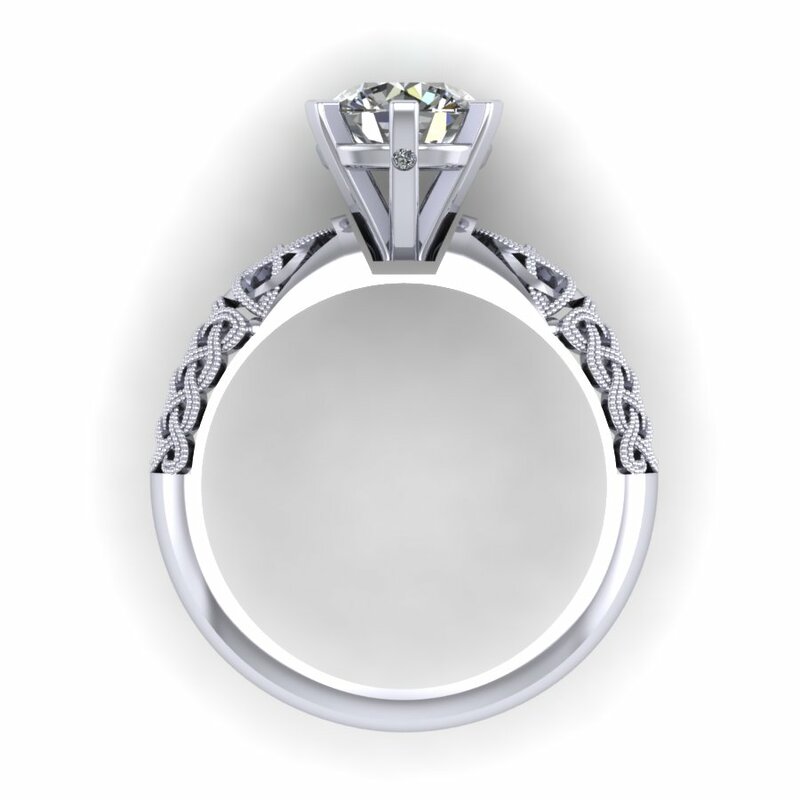 In modern Ireland, the symbol represents the three promises of a relationship: to love, to honor, and to protect. 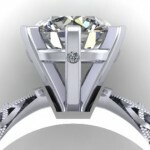 The stone setting was designed to incorporate a cross to symbolize Maria & Gavin’s shared Catholic faith. 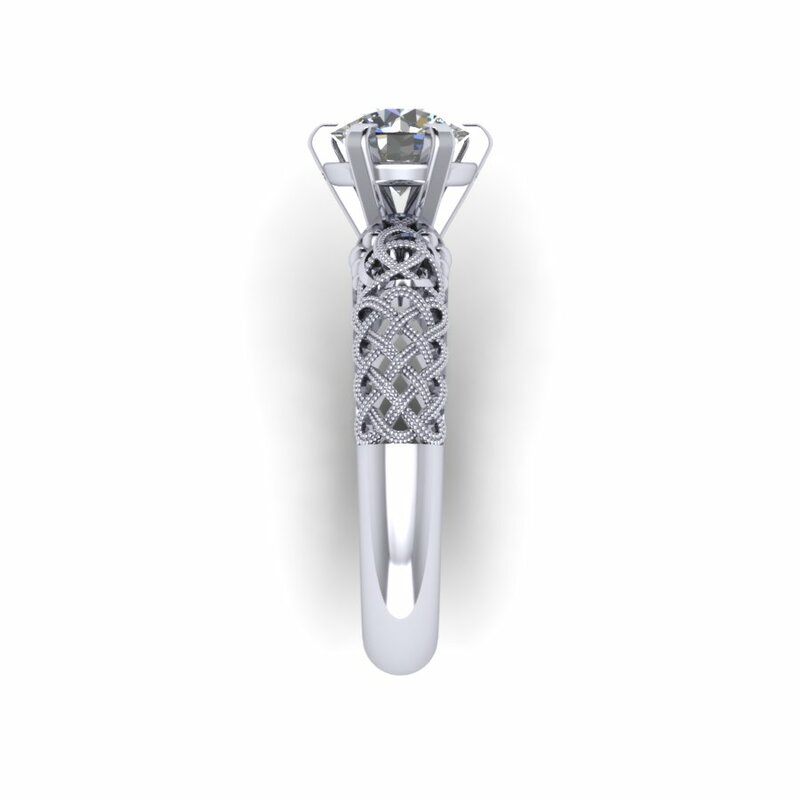 Gavin used gold from pieces of jewelry from both Maria’s mother, Sandra, and his, Abbe. 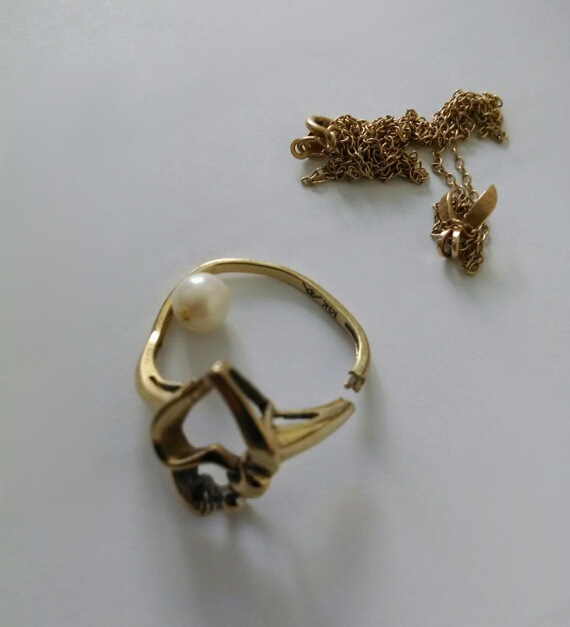 Sandra gave Gavin a gold chain with pearl that Maria’s father, Dan, had given her on their own honeymoon. 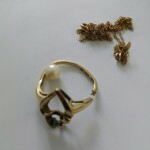 Abbe contributed her favorite gold motherhood ring, which she wore nearly daily for more than a decade before the band fractured. 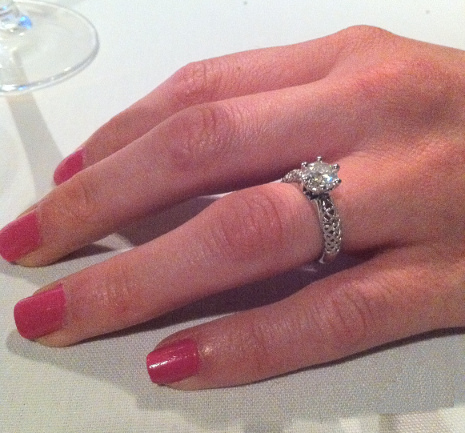 Portions of each jewelry piece were melted down and incorporated into maria’s engagement ring.